By default REAPER uses system cursors, or these cursors that are embedded within the program. Almost all cursor uses may be overridden with your own cursors, see Theming Cursors. Find you REAPER resource path by choosing "Options > Show REAPER resource path in explorer/finder..."
Valid .cur cursor files placed within that folder will override the default cursor of the same name. A REAPER restart is required to enable the override. The set of cursors that was used to create the screenshots below can be downloaded from HERE. All the themable cursors are included, taking the form of a locating dot and the cursor name. The item's volume adjustment when the preference 'Ajust media item volume by dragging' is set to 'top edge of media item'. Defaults to 'double headed vertical arrow' system cursor. Open item's notes. Defaults to arrow system cursor. Select item. Defaults to arrow system cursor. Drag item FX to an unsupported location. Defaults to slashed circle system cursor. (Enable track free item positioning) Resize height of item. Defaults to up/down arrow system cursor. ((Mouse Modifiers > Media item > left drag > Adjust take pan) Adjust take pan. Defaults to up/down arrow system cursor. (Shift-Alt) Adjust take pitch. Defaults to up/down arrow system cursor. Drag a marker. Defaults to arrow system cursor. Drag a region. Defaults to arrow system cursor. Resize a region. Defaults to left/right arrow system cursor. Resize the time selection. Defaults to left/right arrow system cursor. Drag a time signature marker. Defaults to arrow system cursor. (Shift) Add an envelope point. Defaults to up arrow system cursor. (Ctrl) Free draw envelope. Defaults to ENVPENCIL. (Alt) Adjust the curve of a bezier segment. Defaults to left/right arrow system cursor. Move an envelope segment. Defaults to up/down arrow system cursor. Resize the height of the Envelope Control Panel. Defaults to up/down arrow system cursor. 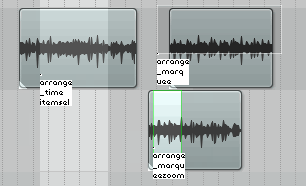 Drag fx to copy to another track. Defaults to DRAGDROP. 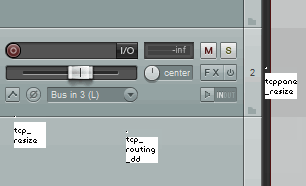 Drag from MCP IO to another track to create send. Defaults to ROUTINGDRAG. (Ctrl) Resize MCP extended mixer of all tracks. Defaults to EXTMIX_ALLRESIZE. 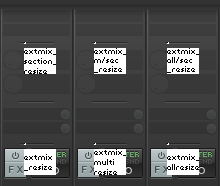 (Ctrl) Resize section of the MCP extended mixer of all tracks. Defaults to EXTMIX_ALLSECTION_RESIZE. (Ctrl) Resize MCP extended mixer of all tracks. Defaults to EXTMIX_MULTIRESIZE. 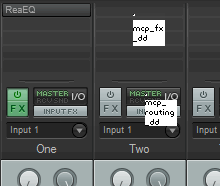 (Ctrl) Resize section of the MCP extended mixer of all tracks. Defaults to EXTMIX_MULTISECTION_RESIZE. (Ctrl) Resize MCP extended mixer of all tracks. Defaults to EXTMIX_RESIZE. 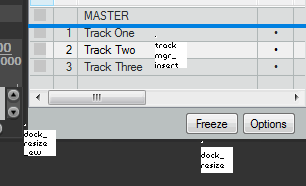 (Ctrl) Resize section of the MCP extended mixer of all tracks. Defaults to EXTMIX_SECTION_RESIZE. Resize the height of the Track Control Panel. Defaults to up/down arrow system cursor. (Drag from IO button) Create a send. Defaults to ROUTINGDRAG. Resize the width of the Track Control Panel. Defaults to left/right arrow system cursor. Sweep from a sweep-supporting button to other tracks. Defaults to SWEEP. 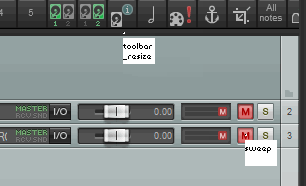 Resize the height of the toolbar. Defaults to up/down arrow system cursor. Resize the height of a docker. Defaults to up/down arrow system cursor. Resize the width of a docker. Defaults to left/right arrow system cursor. Drag track(s) in the Track Manager to reorder. Defaults to INSERTROW. 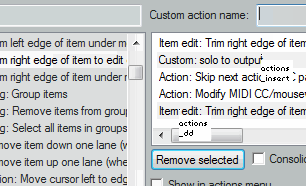 Drag track an action into a custom action. Defaults to DRAGDROP. Reorder an action within a custom action. Defaults to INSERTROW. 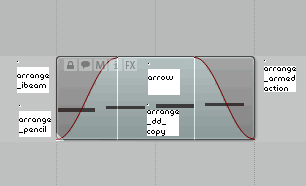 Drag FX from the Add FX window to a track. Defaults to DRAGDROP. Drag FX from the Add FX window to an unsupported location. Defaults to slashed circle system cursor. 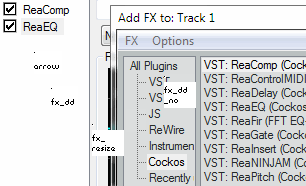 Resize the fx chain pane. Defaults to left/right arrow system cursor. Many locations. Defaults to arrow system cursor. 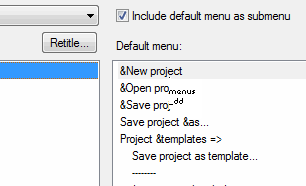 Reorder in menu editor. Defaults to DRAGDROP. Drag media from the project bay. Defaults to DRAGDROP. Drag media from the project bay to an unsupported location. Defaults to slashed circle system cursor. Draw a note. Defaults to PENCIL. (Alt) Left-drag eraser. Defaults to ERASER. 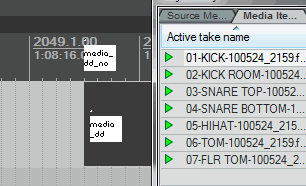 Move the MIDI item's loop end bar. 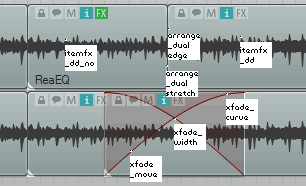 Defaults to MIDI_LOOPEND. Select / move a note. Defaults to arrow system cursor. Resize a note. Defaults to left/right arrow system cursor. (Ctrl+Alt) Left-drag paint notes. Defaults to BRUSH. Adjust a note's velocity using the note's velocity bar. Defaults to up/down arrow system cursor. (Alt) Adjust a note's velocity. Defaults to up/down arrow system cursor. Resize a CC lane. Defaults to up/down arrow system cursor. (Shft+Alt) Arpeggiate timing of notes. Defaults to ARP. 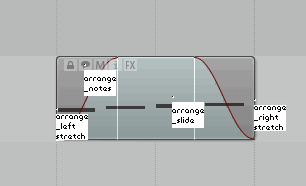 (Mouse Modifiers > MIDI piano roll > left drag > Default action > No Action) Left dragging in empty space will do nothing. Defaults to arrow system cursor. 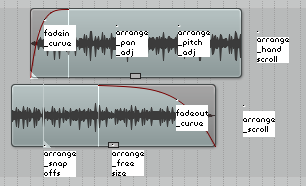 (Mouse Modifiers > MIDI note > left drag >stretch notes (arpeggiate) > vertically) Arpeggiate pitch of notes. Defaults to CHORD. (Ctrl) Drag to copy note(s). Defaults to DRAGDROP. 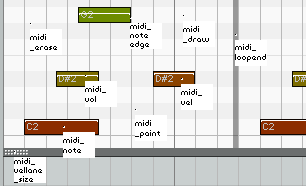 Resize the containing MIDI item by left edge. Defaults to MIDI_BORDER_LEFT. 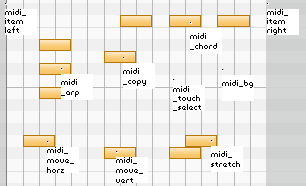 Resize the containing MIDI item by right edge. Defaults to MIDI_BORDER_RIGHT. 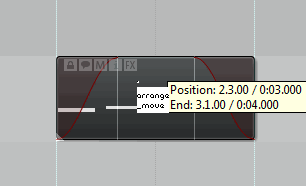 (Mouse Modifiers > MIDI note > left drag > Move note > horizontally) Move note(s) horizontally. Defaults to left/right arrow system cursor. 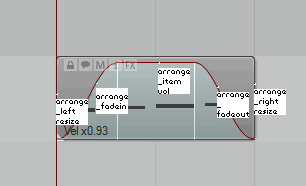 (Mouse Modifiers > MIDI note > left drag > Move note > vertically) Move note(s) vertically. Defaults to up/down arrow system cursor. (Ctrl) Stretch note(s). Defaults to FIST_BOTH. (Ctrl-Alt) Right-drag to select touched notes. Defaults to TOUCHSEL.